Carlos Serrano has never solved a mystery in his life. And he’s counting on you to solve his first one. On the morning of a big investigation that would save her failing detective agency, Carlos’s mom gets sick with a nasty flu. But Las Pistas Detective Agency can’t afford to lose this case, or they will close down for sure. That’s where Carlos—and you—come in. With the help of his best friend Eliza and her wild little brother Frank, Carlos takes over the investigation. The mystery involves an eccentric local millionaire, who starts receiving death threats. It appears someone wants to get their hands on a buried fortune. However, their search for the culprit is complicated by tricky riddles, cagey suspects, hidden secrets, and dozens of impossible choices. They need your help! In this hilarious, interactive, and puzzle-filled adventure, YOU pick which suspects to interview, which questions to ask, and which clues to follow. Can you help Carlos and his friends figure out who’s sending the death threats, find a lost treasure, and save Las Pistas Detective Agency? Or will it be case closed? You pick the path, you crack the case! "The various options mean the story takes on a new flavor with every reading. 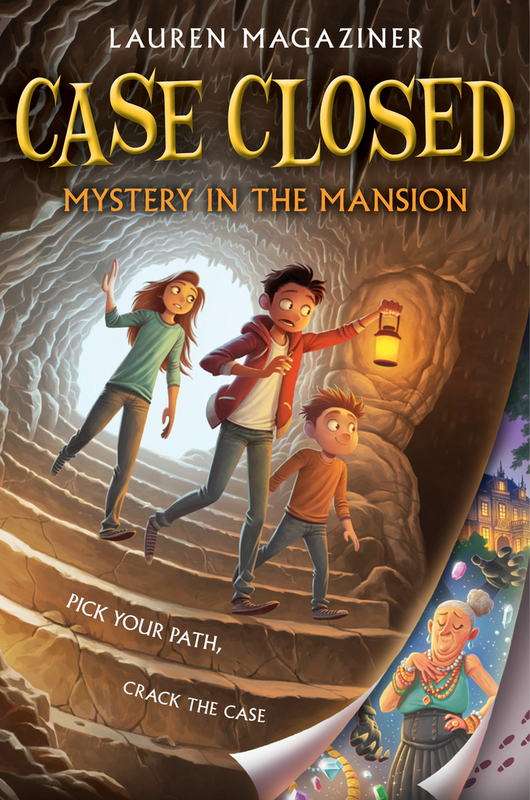 The puzzles are based in learning, so readers work to solve each clue before moving on to the next . . . Magaziner blends the fun of interactive stories with a suspenseful mystery and delightful characters." in order to move forward in the mystery. VERDICT: An entertaining romp that will appeal to fans of humorous mysteries." been optioned to Nickelodeon for a TV Movie!